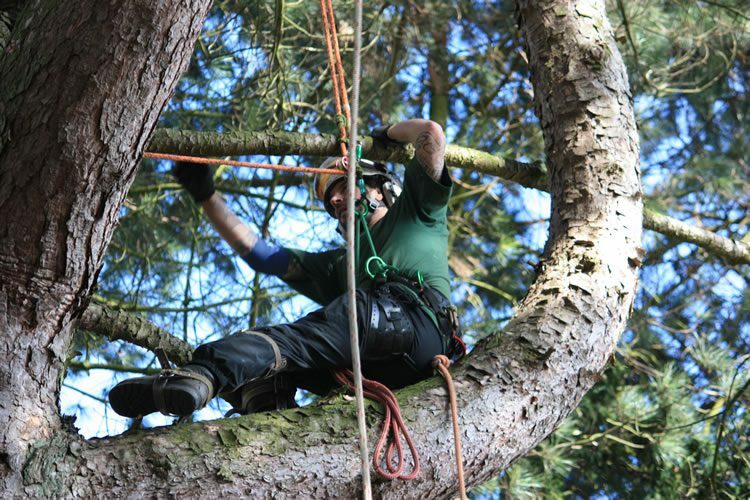 Pruning trees correctly to control or alter their size, shape or form is a skilled procedure that our trained arborists undertake on a daily basis in gardens around Oxfordshire and Buckinghamshire. Although woodland trees grow well with only nature’s pruning, landscape trees often require a higher level of care to maintain their structural integrity and aesthetics. 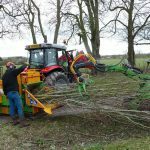 Pruning or tree surgery works should be undertaken with an understanding of arboriculture as improper pruning can create lasting damage or even shorten the tree’s life. Light pruning and the removal of dead wood can usually be done at any time. Although timing can be more important for other types of pruning and for particular tree species. Most deciduous tree are best pruned in the Winter or Summer months rather than during the active growth period in Spring and leaf fall in the Autumn. Deciduous trees and shrubs are plants which shed their leaves as the weather cools down and daylight length reduces. In fact, the change in daylight and temperature are the triggers which stimulate the processes that leads to leaf shedding in Autumn and leaf burst in Spring. These two processes involve the use of a considerable amount of stored energy within a tree. 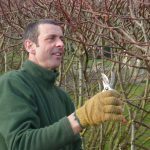 Pruning at these times will further deplete a trees energy reserves which is why we tend to favour the Summer and Winter months. Bear in mind also that when you prune a tree, you are actually opening up an entry point for disease. 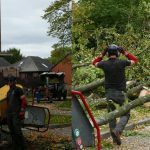 A good tree surgeon understands this and will make pruning cuts very precisely so as to maximise the trees natural ability to wall off the pruning wound from pathogens. Evergreen trees and hedges are somewhat different in that although the main surge of new growth is during the Spring they do not generally shed leaf during the Autumn although there are exceptions, such as the larch (Larix) genus. 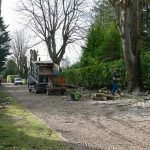 Evergreen hedges can often be cut at most times of the year bearing in mind a few guidelines. Frost can damage freshly cut small growth and hot sun can scorch and cause similar damage on coniferous hedges like Yew. 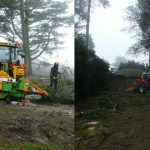 We always make sure that hedge cutting is done with sharp blades that give a clean cut as a ragged cut is always more likely to cause problems and die back. We even sterilize our pruning tools regularly to avoid the risk of transferring disease from one garden to another. The plant world is one of endless variety and differing requirements. Walnut will bleed profusely if pruned during Winter, Spring or early Summer. The Birches and Maples also bleed heavily if pruned between February and May. Another aspect that should not be overlooked is the age and vigour of a tree. This is an important factor in deciding what kind of pruning is appropriate. Formative pruning from a young age can be beneficial to promote healthy, balanced growth and good tree form. Trees in early maturity with a lot of vigour usually respond to operations like crown reduction with strong new growth in the following years. Older trees with less vigour generally respond with less new growth. Good tree pruning is a subtle blend of art and science. A skilled arborist or tree surgeon will have a good understanding of tree biology and a keen eye on the aesthetics of tree form and shape. Beautiful trees are easily ruined through careless pruning. Call on our expertise whenever your trees need work and you can be sure of great results that enhance the natural beauty of your trees.